This is one of my own recipes.Winter brings out the baker in me and I have to have warm,fresh from the oven treats in my kitchen. 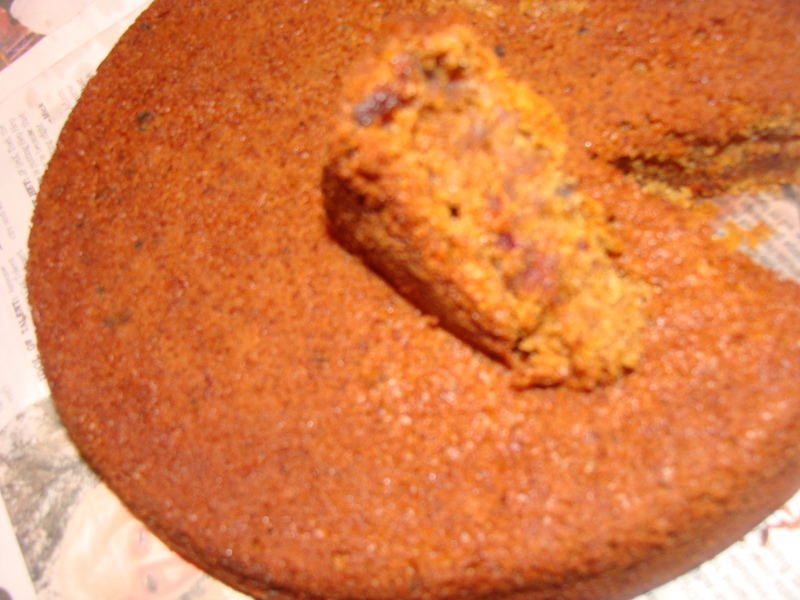 I heart dates,for their moist texture and natural sweetness. They are also a great source of iron.But,for some reason,I can never get Aadi or DH to eat it . But they love cakes and baked goodies.So,I had to find some way to introduce these yummies to their tongues and tummies. Puree the dates and keep aside. Sift the flour and baking powder and put it in a mixing bowl. Add the date puree,whipped cream, and oil and start creaming.The mix will be very dry and hard to beat,if required add 1-2 tsps of water. Keep beating till the batter becomes light and fluffy. Pour in a pre-greased 9″ tin and bake at 160deg fan forced for 15-20 minutes or till the tester comes out clean. 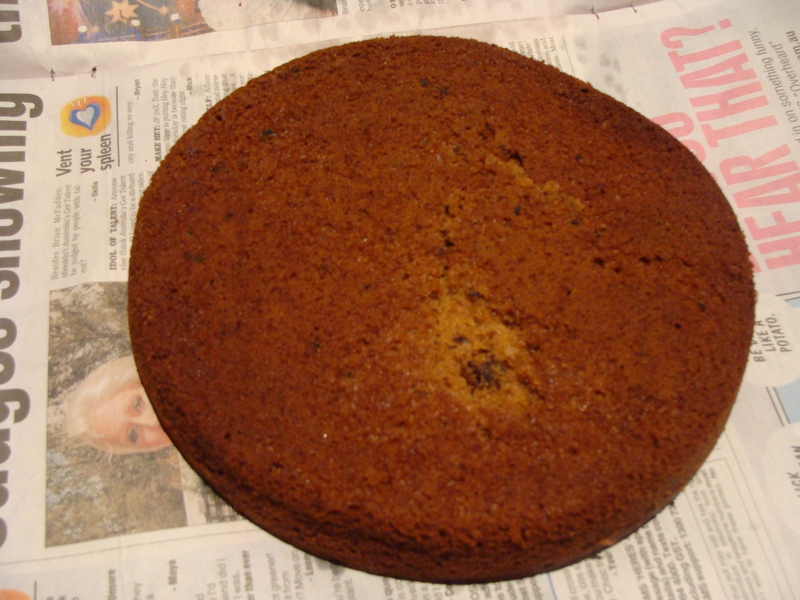 The cake comes out moist and golden .Cut it into pieces and store in an air-tight box. Wow…it’s yummy…very easy method ..i’ll try this when my children r at home! thanks a lot! Tempts me to try,but its my maiden attemp,so wondering how and when to start.